I have to apologize to you guys. OK, here we go! 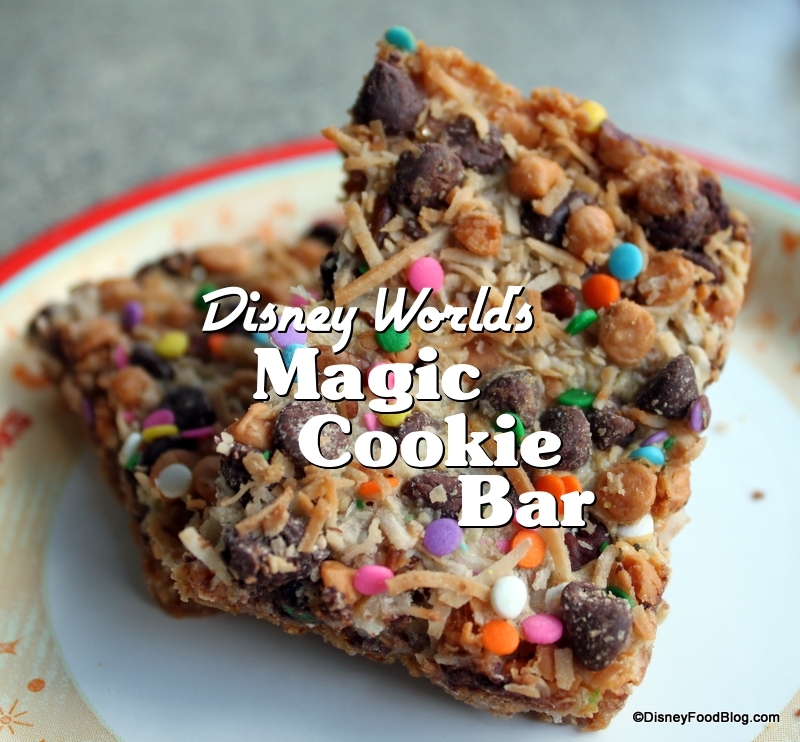 Recently, an awesome DFB reader tipped me off to an amazing find at Roaring Fork in Disney’s Wilderness Lodge — the Magic Cookie Bar. As a big fan of Roaring Fork, I wondered how could I have missed such a thing. So on my recent trip to the World, I made it my mission to get to Wilderness Lodge and try it before any more time passed! I have to be honest — with everything I eat when I’m in Disney World, it’s hard to completely finish everything. But this? 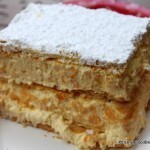 THIS was one of the things on my recent trip that I ate in its entirety! It’s THAT good. First off, it’s big. I mean, it may not look that big in the picture, but this is a super rich bar, chock-full of deliciousness. Unwrapped, you start to get a sense of just what went into this. There’s a ton of flavor going on here, with chocolate and butterscotch chips, condensed milk, coconuts, and nuts. And to put it over the top for me, the whole thing is built on a foundation of brown sugary-tasting graham cracker crumb crust. Hugely moist and rich. It’s so big that you could share it. But trust me. You probably won’t want to. Magic Cookie Bar -- Divided. But I Didn't Share! I ate a lot of food in a very short period of time last week. 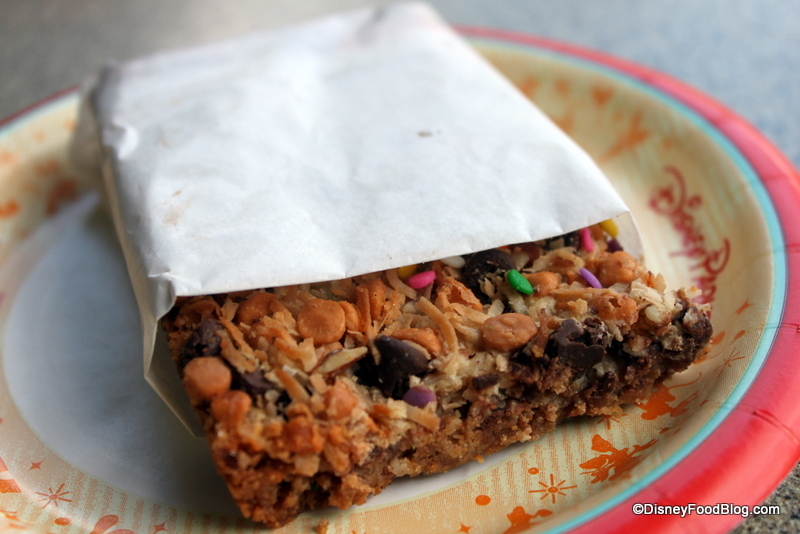 But I’ve gotta tell ya — the magic cookie bar, with its decadent deliciousness, definitely stood head and shoulders above the competition! Will you be making Magic Cookie Bars or seeking them out the next time you’re at Wilderness Lodge? Let us know below! « DFB Reader Questions Answered: Have Selma’s Cookies Disappeared? OOoo! Yum! I believe we found these at POR as well last year. It was a late night snack that really surprised us at how good it was! 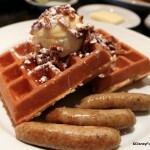 Wilderness Lodge is our home resort, and I usually manage to eat at least two of these on every trip! Unfortunately, butterscotch chips don’t exist in New Zealand, so can’t make the bars here! Hope they’re still available when we go back in 2015 🙁 My mom used to make the same thing, only they were called 7-layer cookies (count the ingredients plus the fact that you simply stack each on top of the other) and I LOVE them though they’re incredibly rich. Oooh, I will totally have to make these for a special occasion! Yum!!! My family has always called these bars Hello Dollies. I make these all the time – my DH loves them! I didn’t even know these were sold anywhere at WDW. Now when I serve them, I will have to tell everyone that they are just like the ones from The Wilderness Lodge (I advertise my Disney obsession every chance I get). FYI – I use half semi-sweet chips and half milk chocolate chips, it cuts down on the over-the-top sweetness just a bit. They have these at the Port Orleans Riverside counter service, as well. I’m not supposed to eat them (gluten), but I always get one and take a little nibble out of it every night. They’re worth the small stomach ache for! @Logan: It’s not just the name that varies—Magic Bars come in many different forms. My family recipe doesn’t use butterscotch chips, just semisweet chips, plus walnuts instead of pecans, and it’s a winner! (We also use a smaller pan than recommended, which makes the bars denser and moister.) I say give it a go with what you can get in New Zealand! I’ve been making these for years but I leave off the coconut because I hate it! Oh my! I am definitely going to try and bake them today! Do I have to add pecan? Not a nut person. They also have these at The Beach Club Marketplace! 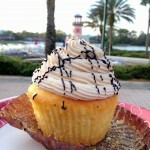 Yes, I agree about having them at Beach Club Marketplace and how delicious they are. On many a trip, I’ve picked up one on the last day for my airplane ride home (not for the first time on that trip). Theres nothing like sitting in a cramped airplane seat, trying to maintain your mood, then taking out your Magic Cookie Bar. That touch of Disney really lifts my spirit. Love them! Carrie’s right. The original recipe I have, came off of the Sweetened Condensed Milk can itself. It says Walnuts & doesn’t mention butterscotch chips. However…..one thing I found out is when you’ve had that can of Sweetened Condensed milk sitting around forever & then use it, the milk is more carmelized. Changes the flavor completely and gives the cookies a new taste. I have done the cookies without coconut as some friends hate it – but then try to add something else. Different nuts, toffee chips, etc to make up for that missing ingredient. Otherwise, it just seems to be a one note cookie. I make these all the time too. I would just note if you’re going to make the recipe, make it well before you plan to serve/eat them. It takes hours for the chocolate to cool enough to be able to cut. Yes, these bars are delish. But I’m surprised they’re such a popular, sought after Disney treat. They were one of the first things Mom taught me to bake when I was a kid…40 years ago. Much faster to make than chocolate chip cookies! My sisters and have been making these for years. We called them 7 layer cookies. They are yummy. Think we got it off Sweetened condensed milk label. We’ve been making a version of these for years, minus the butterscotch chips and the sprinkles. We call them Hello Dollies. I tried this version recently, we all LOVED them and my Mom dubbed them Hello Disneys. 🙂 Making another batch tonight for my coworkers. AJ – I have been waiting for months to make these after reading this post. FINALLY got around to it and have eaten like 6 in 24 hours. They’re amazing. Thanks for the share! I made these today and they taste amazing!! I had never had one at Disney World before. I had some trouble getting them out of the pan but I am going to try again soon. So delish! On everyone’s advice here I tried one while staying at the Wilderness Lodge, and now I have to make them! @ Ashley – If you use a glass pan, reduce the heat to 325º. I just made these this weekend for my family of 4 and there are very few left! What are the multi coloured pieces in the pictures there is no mention of these in the receipe. Can you substitute caramel chips for the butterscotch ones? Just back from Disney World, staying club level at the Wilderness Lodge. These yummy bars were available every evening. Since home I have been trying to recreate them and have tried 4 times. Pretty much have the top part down, but the base is NOT a graham cracker base. It is more like a cookie or brown sugar base. Hopefully someone might have a suggestion to help me get the base correct. Also, Disney uses mini chocolate chips on the top. Not sure about the butterscotch chips but have not been able to find them in mini size. I did learn from another site that a supposed “secret” Disney uses is carmel pieces which does add to the flavor. 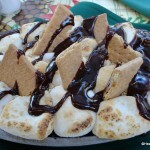 I also found a posting from a former Disney chef who confirmed that this recipe going around with a graham cracker base is not accurate and off base how Disney makes them. He/She did not share the correct way and hope someone can shed some light on the correct base! 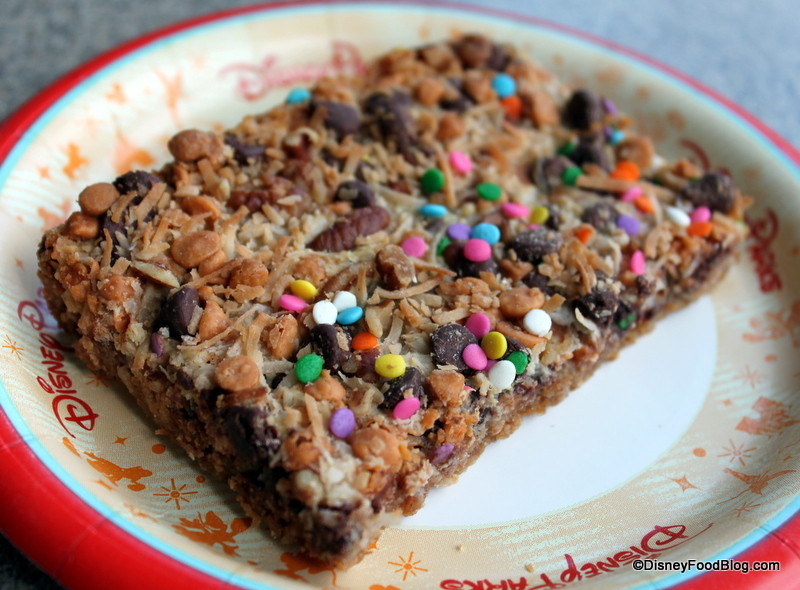 The recipe going around is quite yummy and very tasty, but it is not the true way Disney makes these amazing bars. 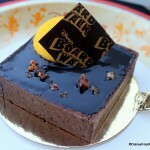 Tucker — Some of the resort bakeries may opt to vary ingredients somewhat. I would suggest adding brown sugar when you create your graham cracker crust to add a sweeter crust and a caramelized flavor. Let us know if you find any other suggestions! Thanks for reading! 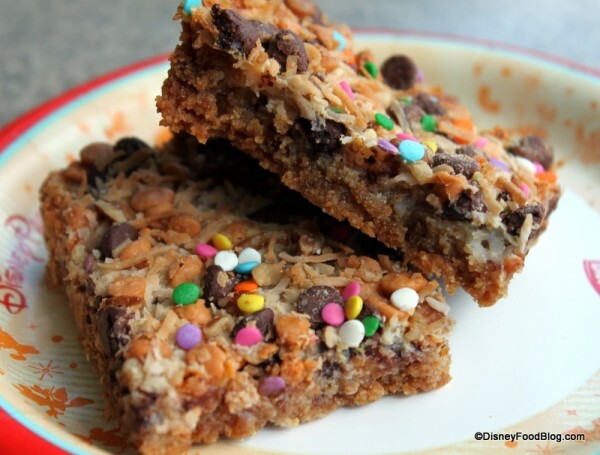 I have been making these same cookie bars for 40 yrs. My friends mother gave me the recipe when I was 12. Change it up by using Reeses chips instead of butterscotch.